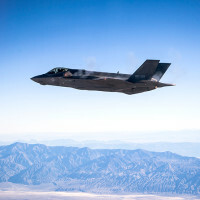 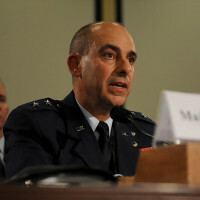 Leaders in the F-35 Lightning II Joint Program Office and the Air Force F-35 Integration Office testified on the fifth-generation aircraft’s development before a House Armed Services subcommittee Oct. 21 on Capitol Hill. 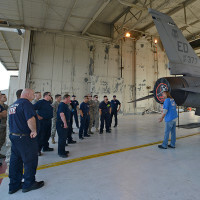 Air Force photograph by Jackie Cowan Gen. Ellen Pawlikowski, commander of Air Force Materiel Command, toured Arnold Air Force Base, Tennessee, Oct. 15, 2015, with members of the AFMC Community Liaison Program. 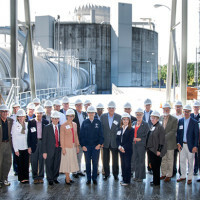 Hosted by Col. Rod Todaro, commander or the Arnold Engineering Development Complex, Pawlikowski and CLP members received briefings, toured facilities and exchanged ideas…. 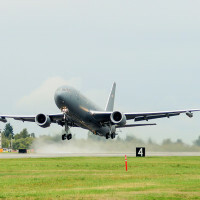 On Sept. 25, 2015, the U.S. Air Force, Boeing and aviation enthusiasts witnessed an important milestone with the first flight of the KC-46 Pegasus tanker from Paine Field in Everett, Wash., to Boeing Field in Seattle.